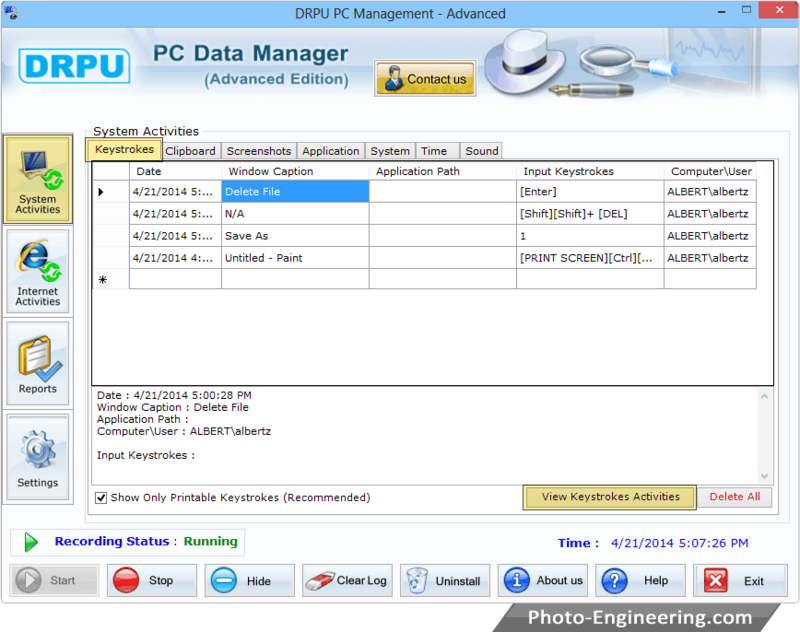 Professional Keylogger software traces and records entire user activities including typed keystrokes, voice chat conversations, clipboard contents, executed application details and captures windows screenshots at regular interval of time. 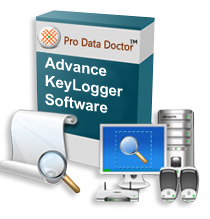 Advanced Keylogger software saves all the recorded activities in encrypted log file with option to send log details to user specified email address or upload log file via FTP server. Software runs in standard or hidden mode (undetected on Desktop shortcut icon, Startup menu, Add/Remove program list, Software installation file).